While building new schools, colleges and universities is costly, we’ve found a way to educate that costs less and has the potential to reach more. By combining the right technology with quality content, educators can use almost any setting as a learning environment. This is especially important in places that lack electricity and internet access. A Virtual Classroom prepared for deployment. Solar generator by LeapEnergy not pictured. 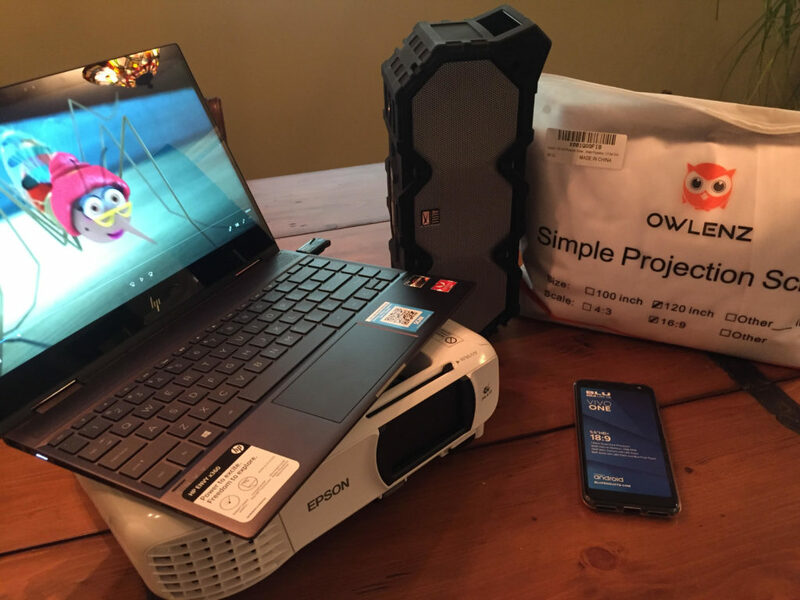 The Virtual Classroom contains: educational content hosted on a laptop with a projector, speaker, portable screen, solar generator, and smartphone. Within the Harper Hill Global network, women are being trained to apply these technologies in their local settings. This also allows them to model technological proficiency and overcome gender bias in the field of IT. Not everyone has the privilege of formal education throughout developing regions. When the Virtual Classroom comes to a community center, worship space, or outdoor arena, students of all ages may learn together in a new context where no one needs to be embarrassed. In 2018, five people have been equipped in Uganda, various parts of DR Congo, and Northern Nigeria. Some have only been equipped in part. We will take on only 2 additional network members in 2019, as we begin tracking their results in community. Please give to spread communications of hope, health, and knowledge!